Let's face it. 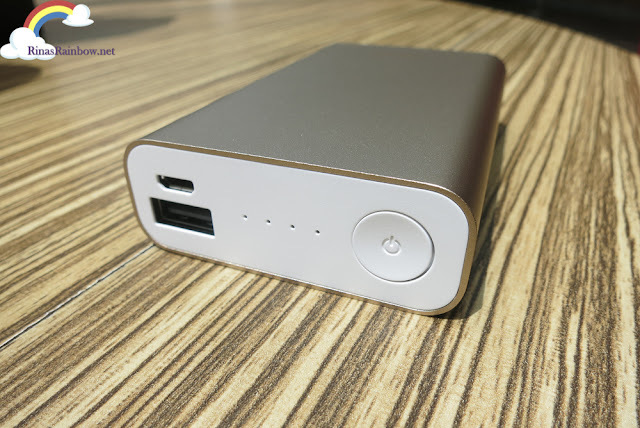 In the world of Smartphones, and with our everyday tasks highly dependent on smartphones, we need a phone with a long life battery. But even if you have a long battery life, if you use your phone like there's no tomorrow, constantly checking your phone even if you don't have new notifications, you're sure to finish off your phone's battery before the day ends. Or in my case, constantly using my phone's data to connect to the net to check my little Rainbow through the Baby Vision cam to see how she's doing when I'm not at home. So what happens when you have an emergency? (tan tan taaaaan...) That's why if you ask me, having a powerbank for your phone is like bringing a jug of water when you go running. Once you realize you've left that bottle of water at home, you feel unarmed. 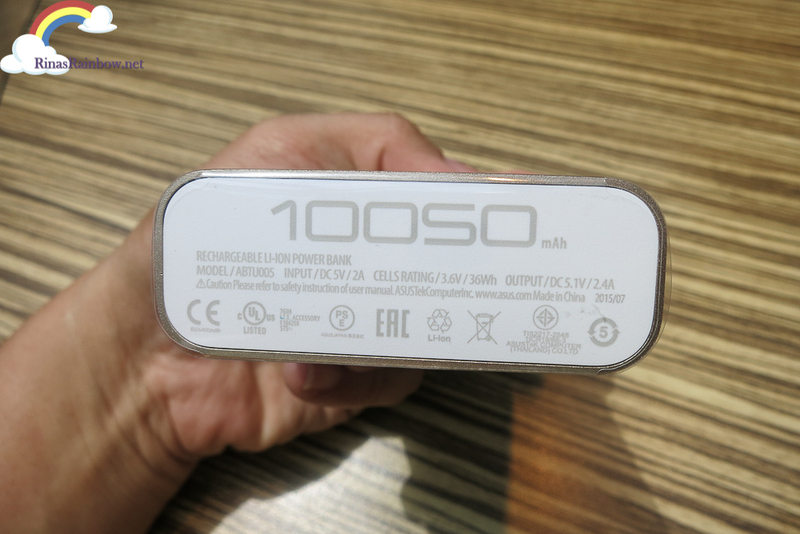 The PowerZen packs a whopping 10,050 mAh! My previous powerbank is almost the same size as this but only has 7,000 mAh. Since my iPhone 6 Plus' battery capacity is 2,915 mAh. This means I can charge my phone a little more than 3 and a half full charges. Not bad! 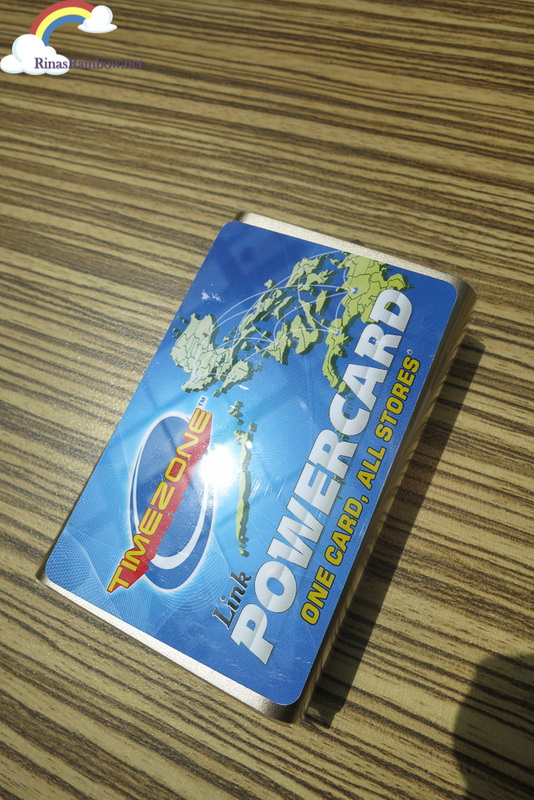 In fact, lots of times I even have extra power to share with a friend who needs to charge a little. 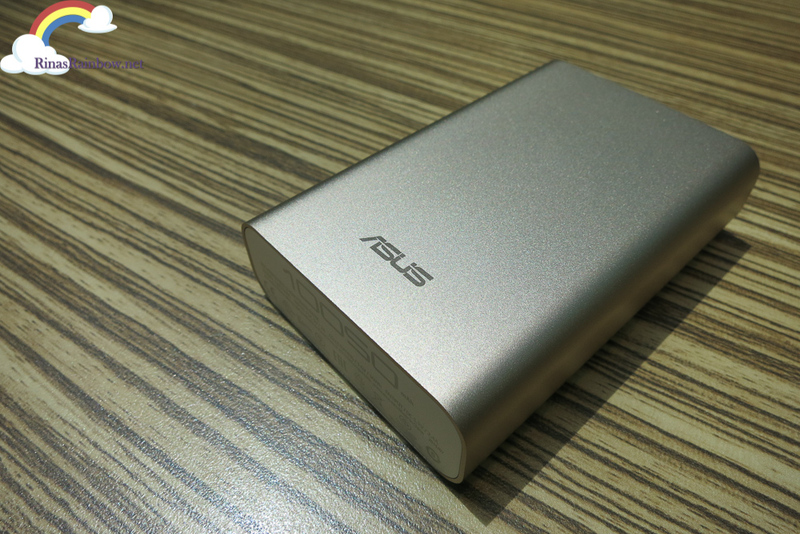 The ASUS ZenPower looks really classy and sleek and just beautiful! So beautiful that I got a pouch for it so that it won't get scratched. Although I recently found out they actually have a ZenPower bumper. It's sort of like a rubber sleeve for it. I love the color so much that I bought a matching LeCord textile lightning cable when my old iPhone cable conked out. And yes, my iPhone is also in champagne gold hehe. 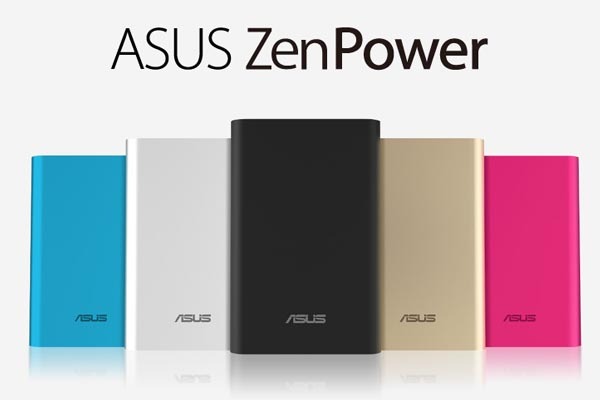 The ZenPower comes in black, blue, pink, silver, and champagne gold (which is what I have). It's very easy to use. See the 4 tiny holes? That's the battery indicator. They light up so you see how much battery percentage it still has. Just press the power button to start charging. It's got 2.4 A output which allows for fast and efficient charging. I charge mine overnight and in the morning, it's full. That's a decent speed considering the capacity is 10,050 mAh. 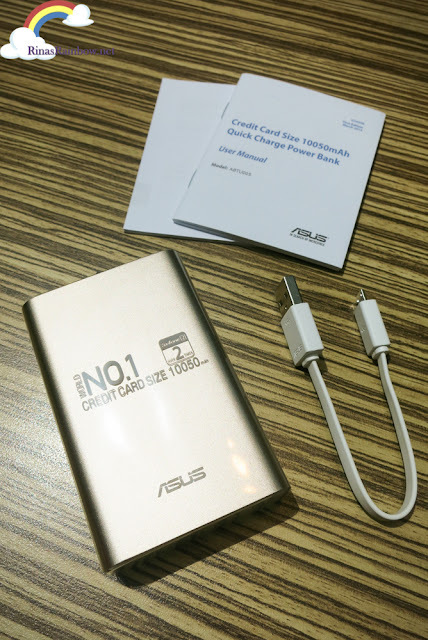 Just make sure when you buy the adaptor, (adaptor is not included when you buy a ZenPower by the way) ask for the one that's fit for charging a 10,050 mAh powerbank. Or else it will take a loooooong time to fill it up. 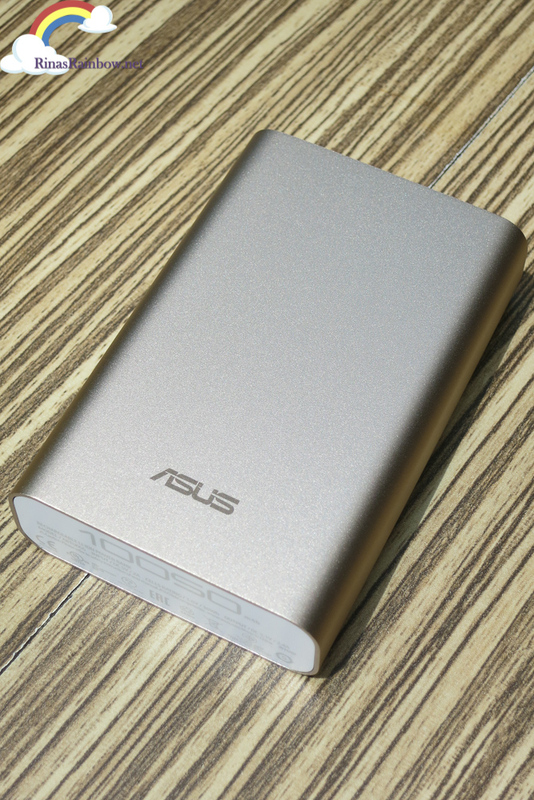 The ASUS ZenPower has an exclusive PowerSafe Technology. This is the one responsible for monitoring the temperature of the powerbank, making sure it doesn't overheat. It also helps smooth out the input and output voltage which protects it from short circuits. So even if you leave it overnight to charge, no worries! It has the technology to make sure it doesn't overcharge. In fact it's got Industry leading 6 international safety certifications. 6.) AFFORDABLE! It's only P795 in Lazada!